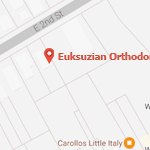 Welcome to the orthodontic practice of Dr. Sarkis Euksuzian. We conveniently have two offices located in Medford and Moorestown, New Jersey. 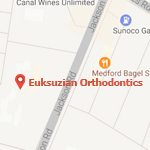 Euksuzian Orthodontics also proudly serves patients of all ages from Mt. Laurel, Marlton, Mt. Holly, Voorhees, and the greater South Jersey area. We offer a variety of services at our orthodontic offices. Whether you or your child is in need of braces or Invisalign, Dr. Sarkis Euksuzian and his friendly staff are here to serve you. When you walk through our doors you will be treated like family, and our highest priority is your comfort and satisfaction. For maps and directions to either of our offices, please click here. Schedule your first appointment today by filling out our appointment request form. For all other inquiries, give us a call or fill out the contact form below. One of our team members will reach back out to you shortly with an answer. We look forward to hearing from you!